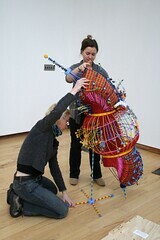 Posted by jewettgallery in Installing Exhibitions. 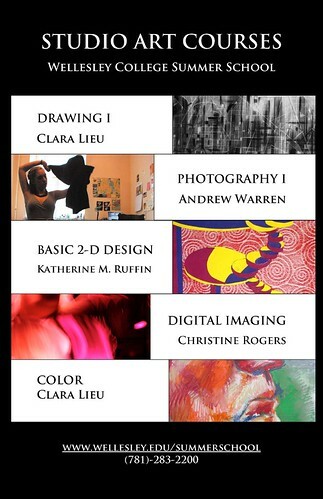 , an exhibition featuring artists Laura Evans, Abbie Read, Jessica Straus, & Antoinette Winters. 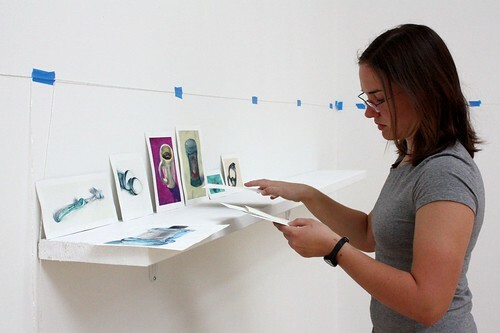 The enormous variety of different two-dimensional and three-dimensional works required a lot of attention to detail in putting the show together. 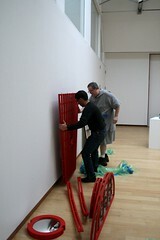 Several sculptures were drilled into the wall, while others sat on bases or shelves installed into the wall. The exhibition opens tomorrow, 4:45-6pm. 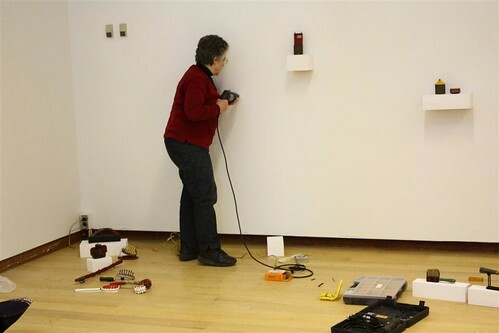 Jessica Straus installs her sculptures into the wall. 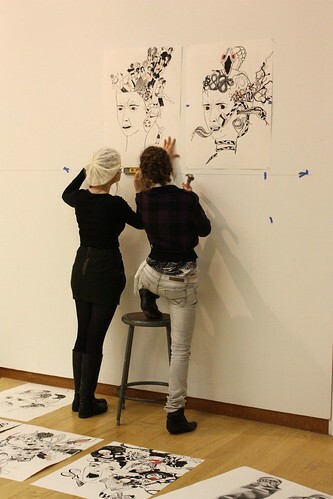 (left to right) Antoinette Winters and Abbie Read install Antoinette’s drawings on the wall. Posted by claralieu in drawing, installation, Student Exhibitions. 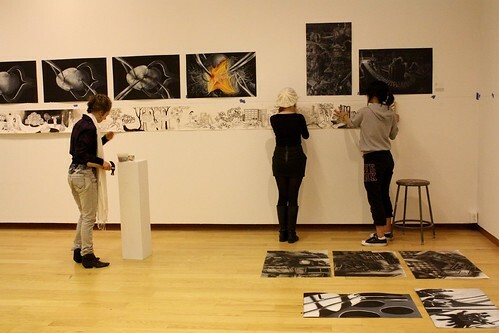 This morning I worked together with students in my ARTS 314 Advanced Drawing class to install their exhibition “Deconstruct/Reconstruct” in the gallery. 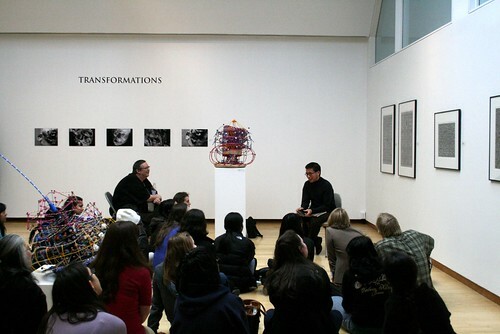 Students included Eliza Tibbits, Jacob West, Ali Crank, Yoojin Chung, Sophie Wang, and Serena Eastman. 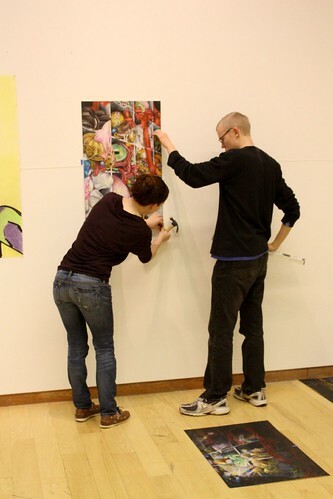 We quickly deinstalled the previous exhibition and worked together to curate the layout of the exhibition. Our primary concern in terms of layout was to balance between the color and black and white, as there were varying degrees of color throughout all of the works. Many of the pieces in the exhibition had multiple images, so we had to consider that as well when thinking about where to place specific works. 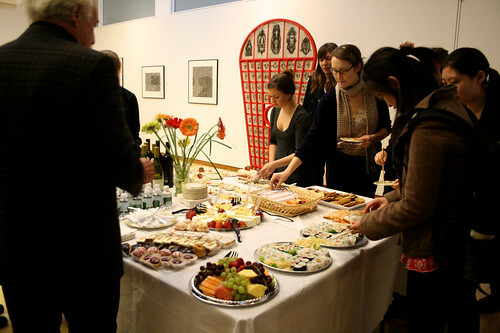 You can view all of the images of the exhibition on the Jewett Gallery’s Flickr page. 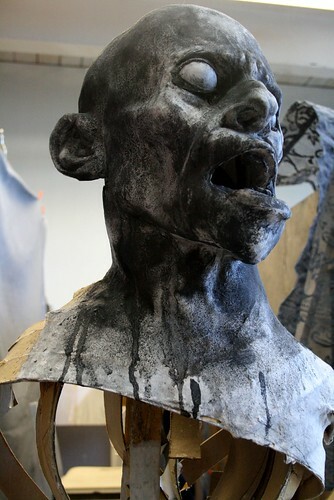 Posted by claralieu in drawing, sculpture. 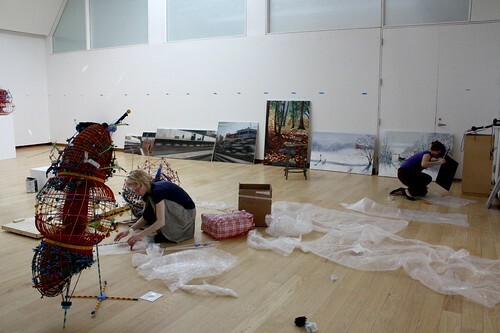 We’ve got a number of great exhibitions coming up soon in the gallery. 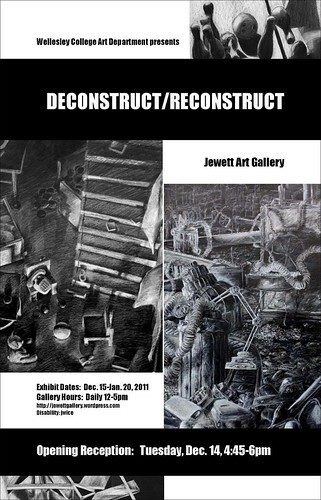 My ARTS 314 Advanced Drawing class will be featured in “Deconstruct/Reconstruct” opening on Tuesday, Dec. 14 at 4:45pm. 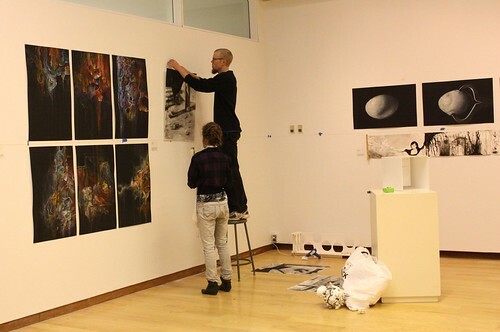 Students in the exhibition will include Jacob West, Serena Eastman, Ali Crank, Sophie Wang, Yoojin Chung, and Eliza Tibbits. 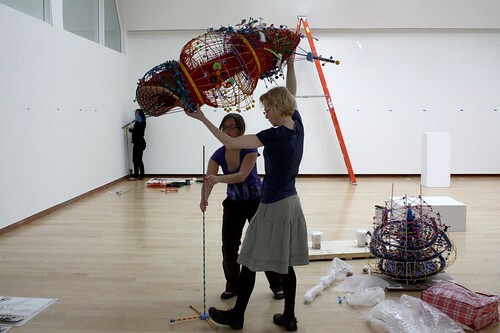 Our first professional exhibition “Trigger and Reconfigure” will be on view in January and February. 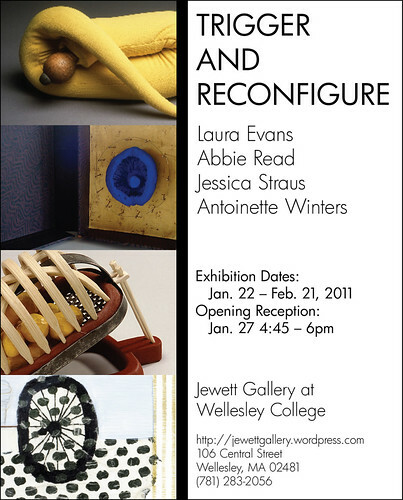 The exhibition features artists Abbie Read, Laura Evans, Jessica Straus, and Antoinette Winters. The show is curated by Jessica Straus and Antoinette Winters. Posted by claralieu in drawing, photography. 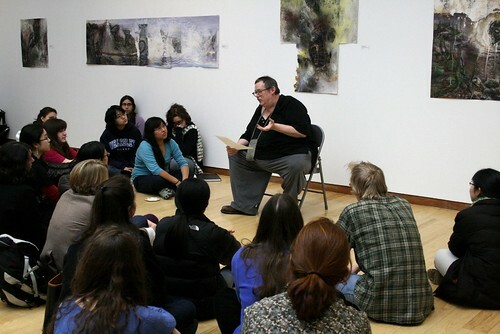 The Wellesley College Summer School is offering several courses in studio art this year. 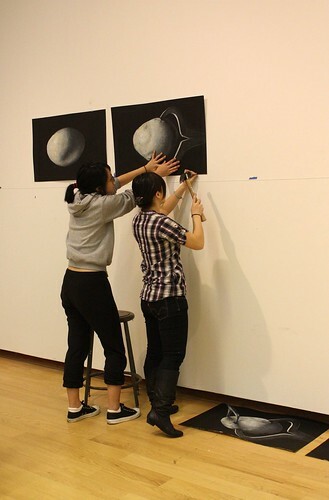 Click on these links to read the course descriptions and learn more about the studio art courses: Drawing I, Photography I, Basic 2-D Design, Digital Imaging, and Color. 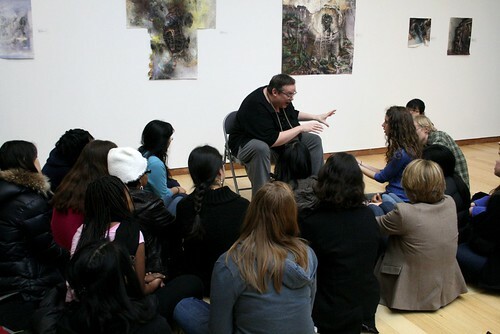 The summer school program is co-educational, featuring full credit courses drawn from the regular Wellesley curriculum. The summer school is open to all college students, college graduates, as well as eligible commuting high school juniors and seniors. For more information or to register, visit the Wellesley College Summer School website or call (781)283-2200. Posted by claralieu in artists, sculpture, video. 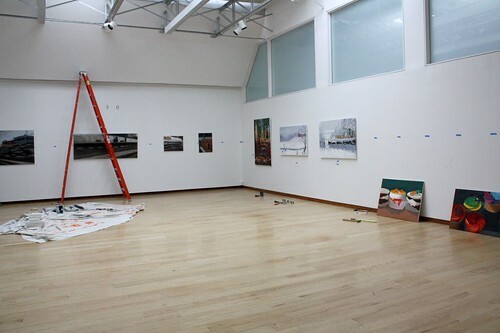 The Jewett Art Gallery will be closed March 20-29 for Wellesley College’s spring break. Our current exhibition, “Transformations” featuring artists Ken Takashi Horii, Crudelle-Janello, Thomas Lyon Mills, and Nathalie Miebach reopens on March 30 and runs through April 10. 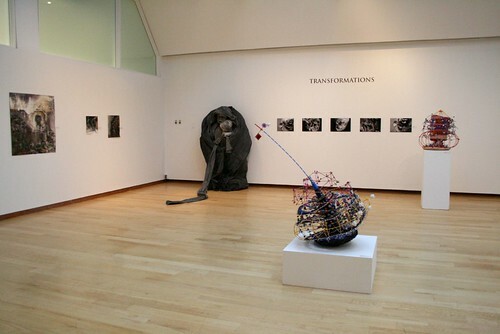 View these videos of Crudelle-Janello and Thomas Lyon Mills speaking about their work in the “Transformations” exhibition. The videos were shot and edited by Paul Falcone from WCAC-TV. Posted by claralieu in drawing, Events, sculpture. 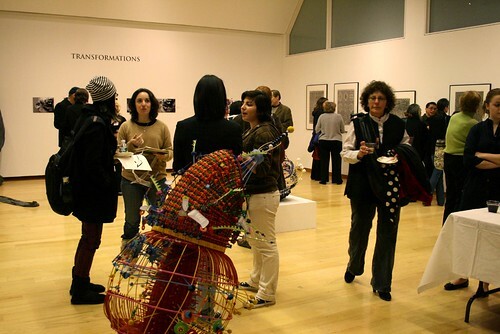 Join us for these upcoming events associated with the exhibition “Transformations” at the Jewett Art Gallery. 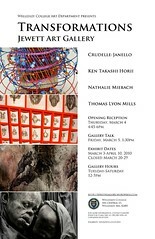 The exhibition features Anthony Crudelle-Janello, Ken Takashi Horii, Nathalie Miebach, and Thomas Lyon Mills. 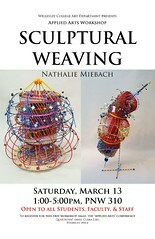 The show runs March 3-April 10; the gallery is closed March 20-29 for spring break. Read more about the exhibition here. Meet the artists! Enjoy free wine & refreshments with a live jazz performance from the Wellesley College Music Department. RSVP to this event on our Facebook page here. 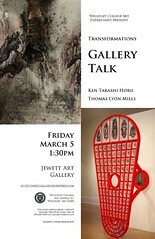 Join us and hear Ken Takashi Horii & Thomas Lyon Mills speak about their work. 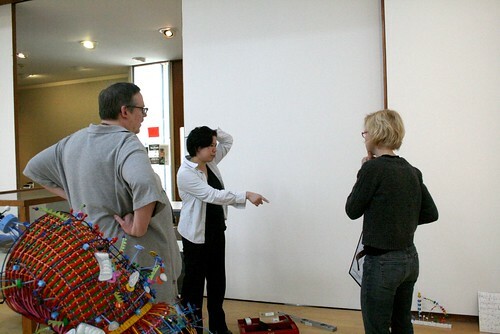 Nathalie Miebach will lead a free hands-on workshop in historical and contemporary weaving techniques. Open to the Wellesley College community. 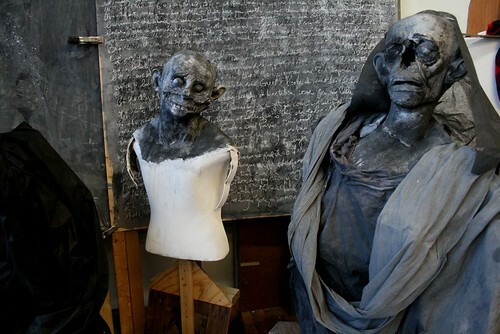 Posted by claralieu in artists, photography, sculpture, studio visits. This past Friday afternoon I drove to Rhode Island for a studio visit with Anthony Crudelle-Janello, (more widely known as Tony Janello) who will be one of the four artists exhibiting in the upcoming show “Transformations” in March 2010. We first met in 1998 when I was a student in his painting class in the Illustration Department at RISD during my senior year. I now teach Drawing at RISD in Foundation Studies and he’s continued to teach Painting and Drawing in the Illustration Department since then. We’ve kept in touch over the years since I graduated, and it was very exciting to visit his studio and get some insight on his thoughts and creative process. 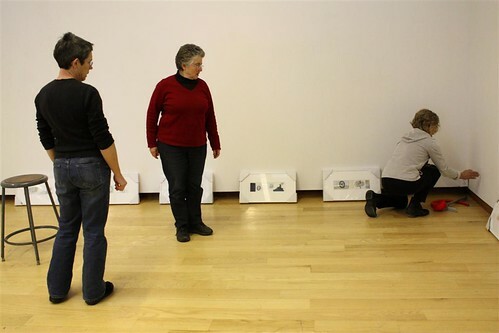 Crudelle-Janello’s process involves many phases and transformations in a range of media. He creates essentially paper mache sculptures which are then lit and photographed, with the sculpture as a means to the photography. The role of photography as the final result allows him tremendous visual flexibility with the sculptures that he would otherwise not have. I was impressed by how much his photographs looked like paintings; they had an incredible atmosphere and depth that transcended the sculptures themselves. What is astonishing about these sculptures is how low-tech they are in terms of construction and materials. For the interior structures of the sculptures, he uses sonotubes, which are extremely strong cardboard tubes that are used in construction for pouring concrete columns. You can see in the photo below on the sculpture on the far left an example of one of the sonotubes that he’s sawed into a ring to hold the sculpture up. 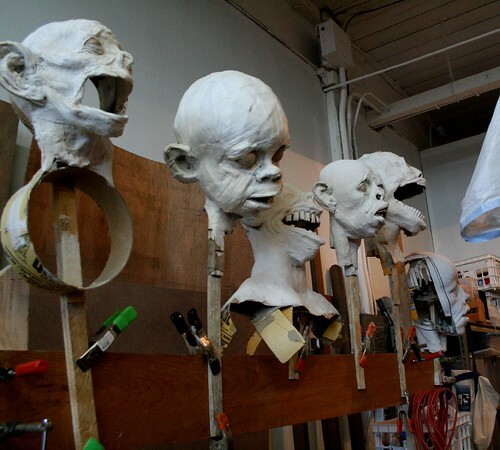 On top of the sonotube structure, he uses paper towels dipped in elmer’s glue to sculpt the heads into more detail. 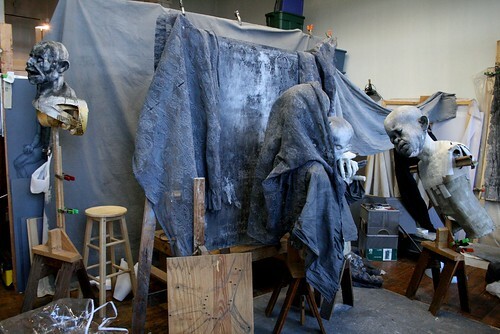 These materials also allow the sculptures to be highly durable, yet lightweight at the same time. 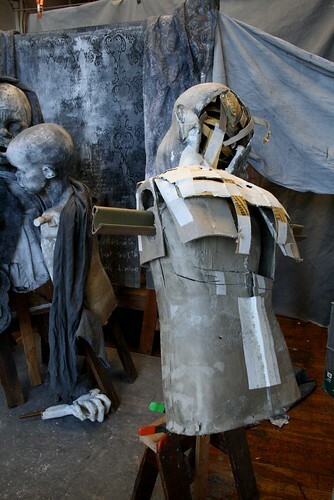 Below is an example of how Crudelle-Janello uses backgrounds and creates sets for his sculptures. The backgrounds are created from thin sheets of plywood which are then painted to reflect surface, texture, and writing. Several of his backgrounds feature the visual look of a chalkboard which has writing layered over itself continuously. 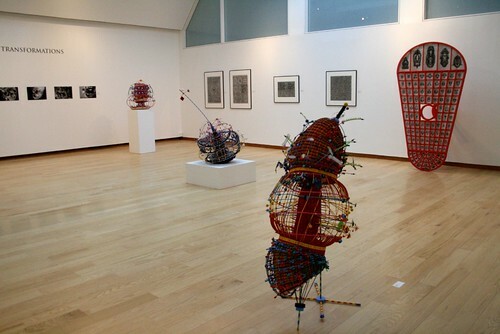 Below are some experiments for adding yet another phase in his process: after he photographed the sculptures, he drew on the digital prints using crayons. 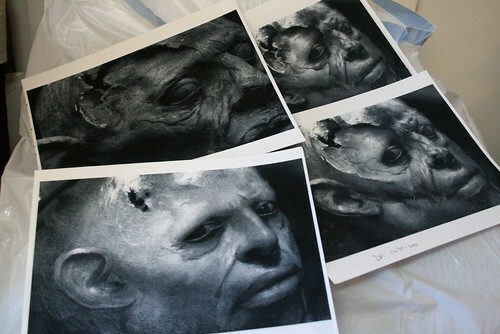 In this series below, there is a progression in the images where he is “healing” the “injury” in the sculpture’s head by drawing with cross-hatched marks on the images with crayon. Crudelle-Janello was a portrait painter for many years , and it seems like this is a perfect way to work in his experience in drawing into his current work. These pieces above are still very early in their development, but we discussed the possibility of creating works with this process for the “Transformations” show. 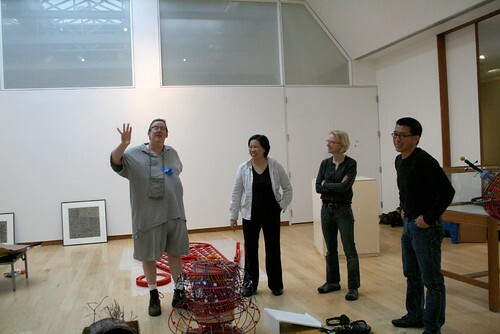 The back of this sculpture seen in the photo below reveals the interior structure of the sculptures, created from sawed up strips of sonotubes. Below is a close up view of one of his sculpture heads, where the painting process and surface texture of the sculptures is apparent. For more information about Crudelle-Janello’s work, you can visit this previous blog post which features his artist statement.